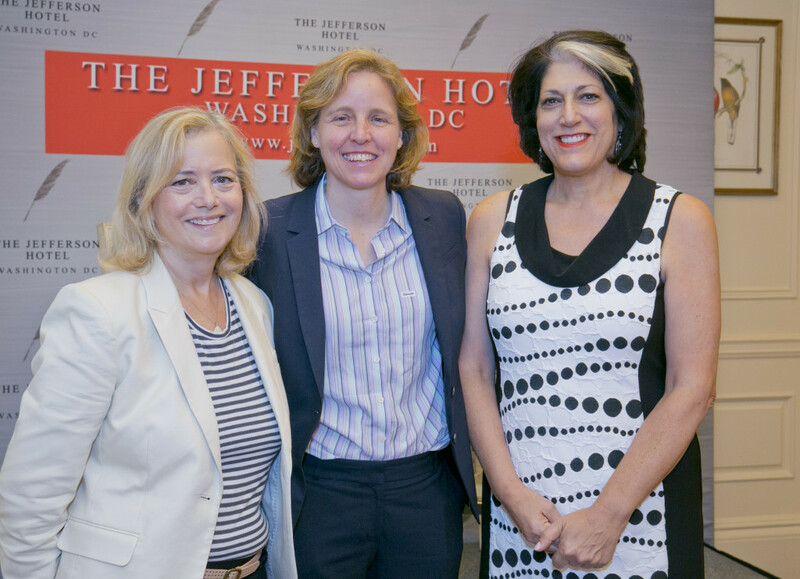 The Washington Women Technology Network gathered today to hear from two of the leading technology and media voices on the 2016 election. 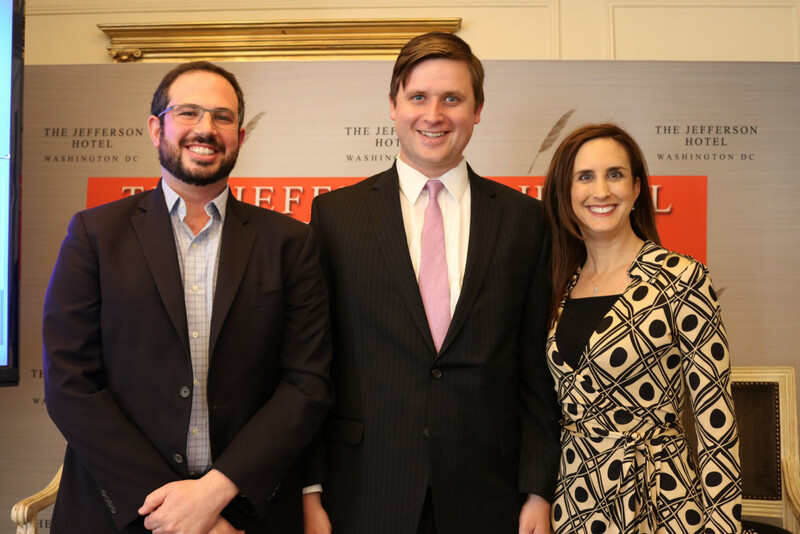 James Hohmann of the Washington Post’s Daily 202, and Josh Ginsberg of data analytics firm Zignal Labs headlined the gathering of media, politics, and technology insiders. 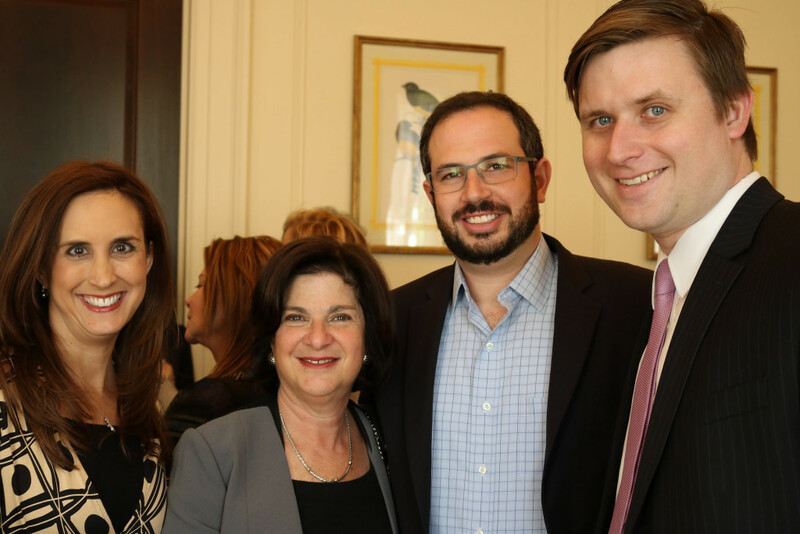 The event was hosted by Connie Milstein, Hilary Rosen, Niki Christoff, and Tammy Haddad. 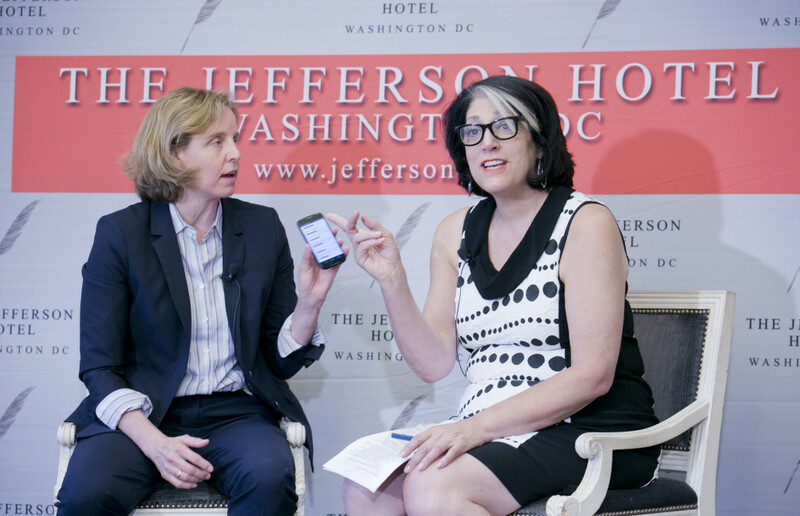 Betsy Fischer Martin, co-host along with Tammy Haddad of Bloomberg: Masters in Politics podcast, interviewed Hohmann and Ginsberg to discuss the ways in which social media allows news stories to break in the most unexpected places. Former Congresswoman Ellen Tauscher addressed the issue of Twitter and Facebook users targeting superdelegates, “Messages targeting superdelegates are nasty. It’s harassment. Names & addresses are online. Mostly targeting women,” that are coming from fervent Sanders supporters. Also on display off some of the latest technology coming out of Zignal Labs, including their groundbreaking analysis of emoji-use on Twitter. Zignal Labs has found a way to show which emojis Trump supporters use the most and which ones Hillary Clinton supporters use when discussing the candidate. Subscribe to James Hohmann’s Daily 202 here. Find out more about Zignal Labs here. You can subscribe to Tammy Haddad and Betsy Fischer Martin’s Bloomberg: Masters in Politics podcast here. 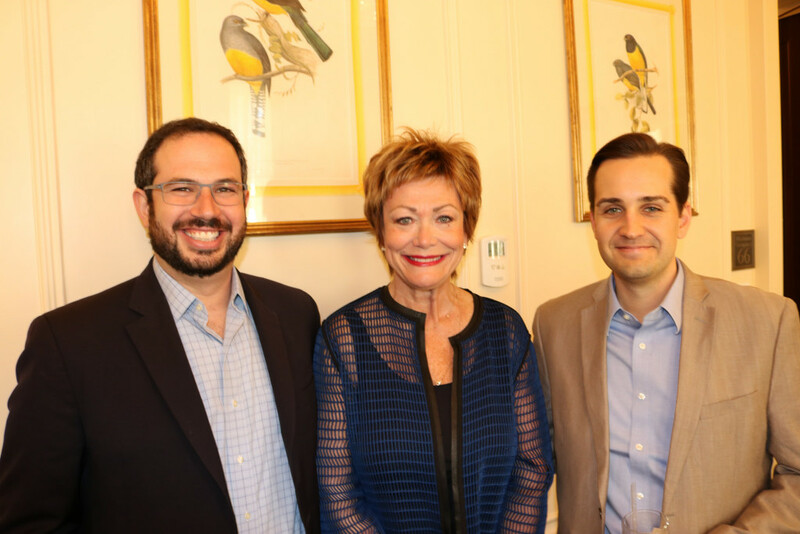 WWTN will be briefed by Washington Post’s James Hohmann of the Daily 202 and Josh Ginsberg of Zignal Labs today at a lunch hosted by Connie Milstein, Hilary Rosen, Niki Christoff, and Tammy Haddad. 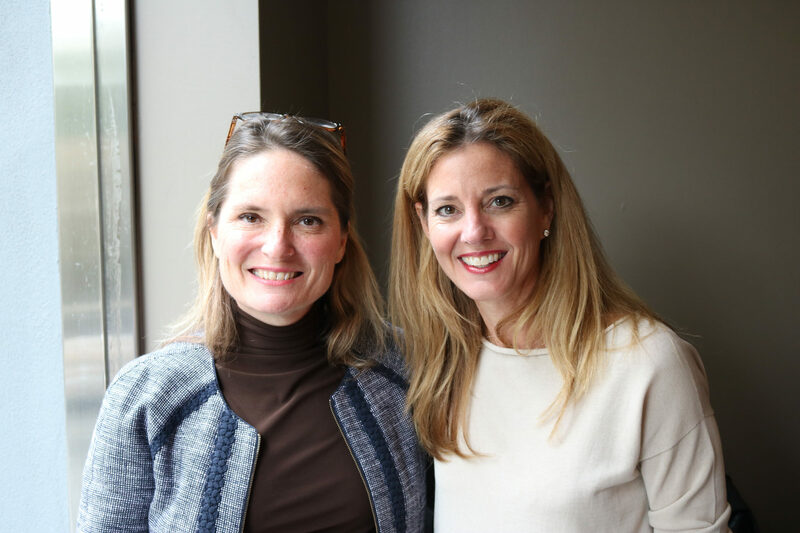 Mr. Meacham was interviewed at a Washington Women Technology Network event by WWTN co-founder Tammy Haddad and Megan Murphy, Bloomberg DC Bureau Chief. Questions were also taken from the audience in the Gallatin Room of The Jefferson Hotel in Washington, DC on November 20, 2015. No stranger to life on the campaign trail, two term Democratic Senator from Minnesota, Amy Klobuchar, spoke to Trail Talk during a special gathering of Washington Women Technology Network. Senator Klobuchar spoke frankly about the challenges facing women running for political office, especially when it comes to raising money in what has traditionally been a man’s world. She also shared stories about balancing life in the U.S. Senate with raising a teenage daughter and moving her family to Washington, D.C.
And since the previous evening’s CNN debate featuring Republican presidential hopefuls was the talk of the afternoon, Senator Klobuchar weighed in on the GOP field, Donald Trump, and her own party’s nomination battle between Hillary Clinton and Senator Bernie Sanders. Download the Trail Talk Podcast from this event on AudioBoom or iTunes. 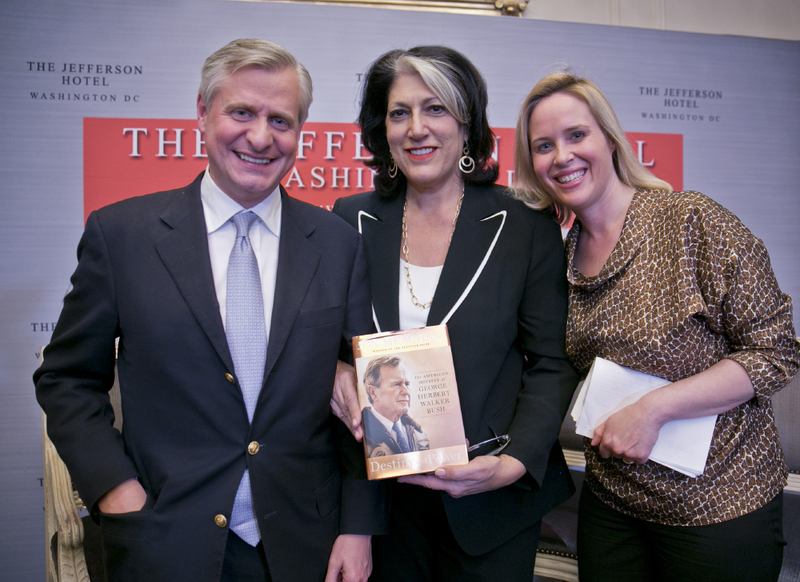 Jonathan Alter, author of the first 2012 campaign book “The Center Holds: Obama and His Enemies,” came to the Jefferson Hotel in Washington, D.C. to meet with the Washington Women in Technology Network. Alter went into stories not reported as in-depth outside of Washington. He discussed how the Romney campaign rejected strategies from a top Republican digital expert. He went in depth into anecdotes about both campaigns; their competing digital strategies and offered to have readers call him out on events–like he was on Friday by Fox’s Roger Ailes in Politico. Speaking to a luncheon co-hosted by Hilary Rosen, Becky Fischer-Martin, Constance Milstein, Holly Page and Kim Kinglsey. 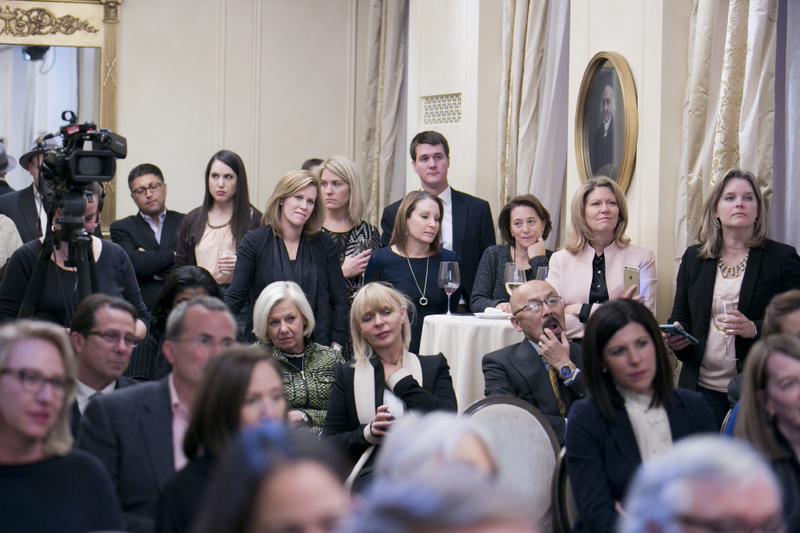 Guests included Facebook’s Marne Levine and Sarah Feinberg, Regina Hopper, Kelley McCormick, Emily Goodin, Stephanie Green and Kim Kingsley. 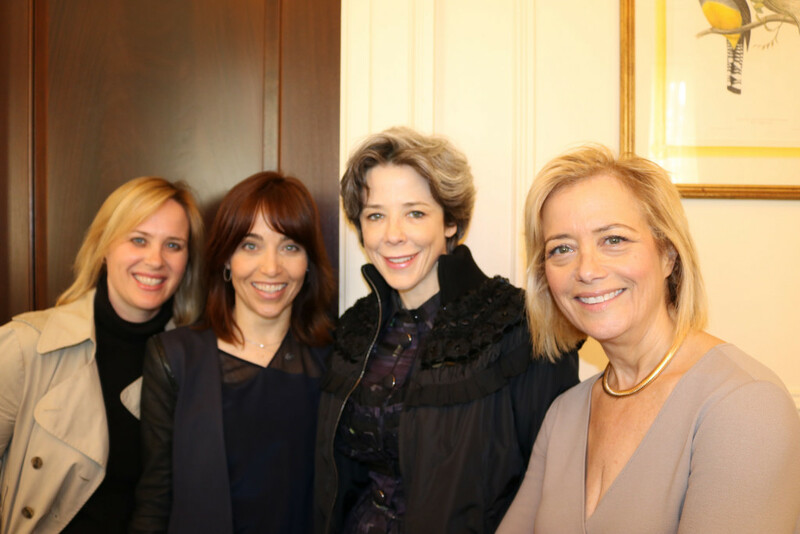 Tech titan Kara Swisher returned to her roots with a “state visit” to Washington and was the guest of honor at a dinner hosted by the Washington Women’s Technology Network last week. Swisher had the crowd roaring with anecdotes from her early career and spellbound by her comments about technology and media today. She started her journalism career in the mailroom at the Washington Post and as a college stringer to the newspaper after she complained to an editor about bad facts in one of its stories. After time at Columbia Graduate School of Journalism and some other jobs, as well as a Post internship, she began her real career reporting for the business section. She covered local retail, including the travails of the infamous Haft family breakdown. After taking a break in Russia, her then-editor, David Ignatius, asked her to return to DC to cover new online services companies, such as AOL, which was based in the DC suburbs. After writing a book on the history of AOL she made her own history in coverage of technology and the launch of All Things Digital — first a conference and then a Web site. Kara tickled the news producers in the crowd by talking about her TV career as a staffer for “The McLaughlin Group,” writing fast and furious copy for the panelists including MOR-TON, but never calling McLaughlin, “Dr. McLaughlin,” as he famously insisted. Maura Corbett, the Glen Echo Group, reminded Kara that they traveled the country with Jim Barksdale to talk about the Internet in the late 1990s. The dinner took place at Café Milano and owner Franco Nuschese joined Tammy Haddad, Betsy Fischer Martin, Connie Milstein, Ellen Tauscher and Holly Page as co-hosts. Kara, not only attended nearby Georgetown University, but she told the group she used to sell Chipwiches on this very chi-chi corner of Georgetown. Usually asking questions from her bright red D chair, she answered the policy and technology questions from WWTN members Twitter’s Mindy Finn, Google’s Ginny Hunt, Facebook’s Marne Levine, former Chief of Staff for First Lady Laura Bush Anita McBride, POLITICO COO Kim Kingsley, Gibraltar’s Kelley McCormick, ABC News Bureau Chief Robin Sproul,TIME’s Jay Newton-Small, and Sarah Start Fund’s Lindsay Ellenbogen. 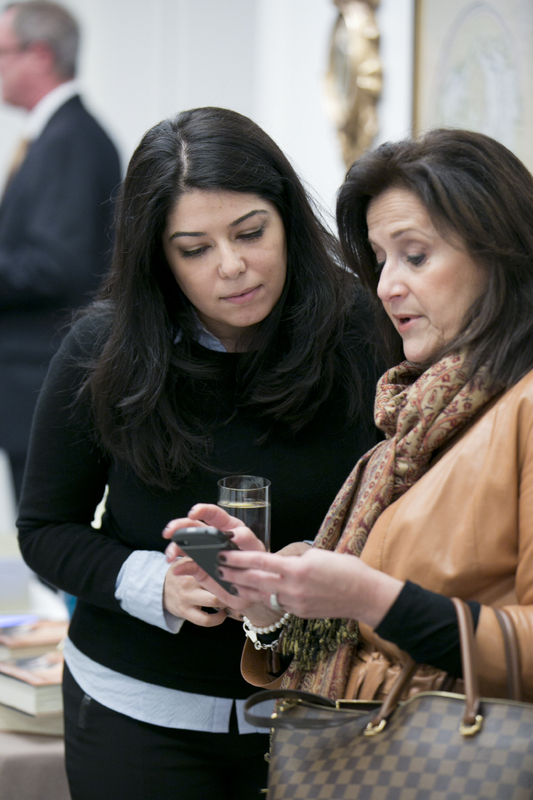 Inspired by Facebook COO Sheryl Sandberg’s women’s group in Silicon Valley, WWTN’s membership includes the top women in technology, media and politics. 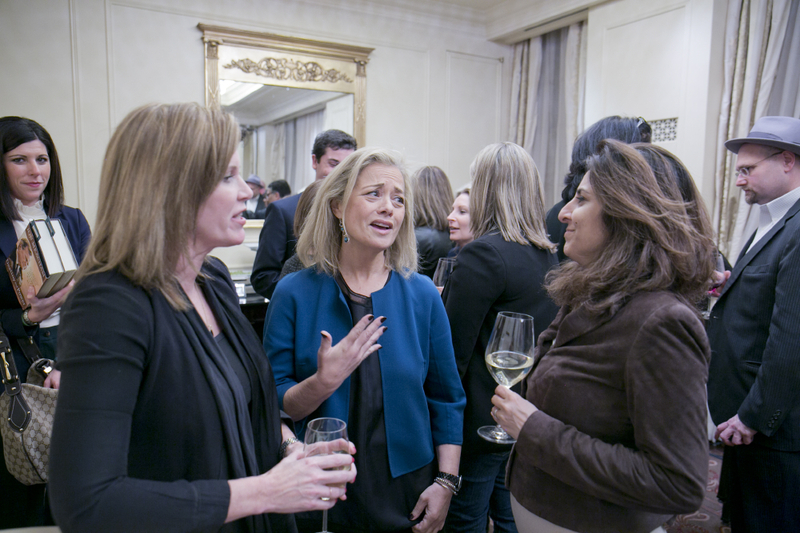 Their mission is to leverage the power and resources of Washington women in the technology and media communities for positive impact here and around the world. 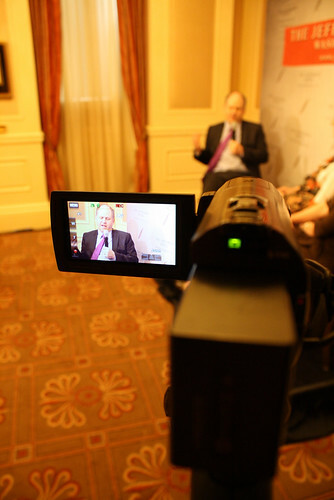 Ambassador David Gross headlined the first WWTN event to discuss the upcoming International Telecommunications Union meeting and the push by Russia and other countries for global Internet regulation. FCC Commissioner Mignon Clyburn and WWTN founding members Hilary Rosen and Susan Molinari attended the luncheon at the Jefferson Hotel. WWTN presented Kara with a White House hoodie, hat and cup and of course, a presidential motorcade set for her two kids. The hoodie — which the swag specialist, pronounced “good quality” — was a tribute to her famous interview with Mark Zuckerberg at a D conference, where he began sweating profusely until Kara coaxed him out of his hoodie. She brought the house down when she observed the odd symbols on the inside of Zuckerberg’s jacket and proclaimed that she had found the “lluminati.” The rest of the WWTN crowd went home each with a sacred “Meet The Press” coffee mug.